The Monterey Peninsula Buddhist Temple is located in Seaside, California. It is a member of the Buddhist Churches of America, headquartered in San Francisco, California. The temple belongs to Jodo Shinshu Hongwanji-ha school of Buddhism. The mother temple, Nishi Hongwanji, is located in Kyoto, Japan. 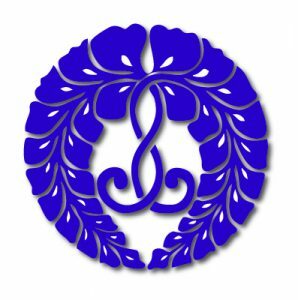 As part of the True Pure Land school, we are a part of one of the largest schools of Buddhism with temples in Europe, and South America, Canada and Hawaii. We are an open and welcoming community and invite you to join us any Sunday at 10:00 am. 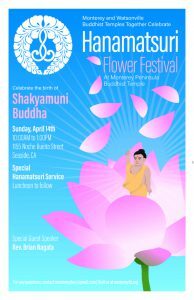 Hanamatsuri, literally flower festival, is celebrated on April 8, commemorating the birth of Siddhartha Gautama. Siddhartha became enlightened as Sakyamuni Buddha and this marks the release of sentient beings from suffering and sorrow. 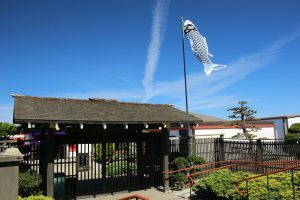 The Monterey Peninsula Buddhist Temple and the Watsonville Buddhist Temple will celebrate the service together on April 14th at the Monterey Peninsula Buddhist Temple. Tuesday evening, 7:00 – 8:30 p.m. April 30th. 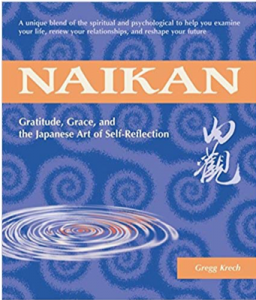 By reflecting deeply upon ourselves, we can not only deepen our grasp of spiritual teachings but cultivate a sincere foundation of gratitude and improve our relationships with others. 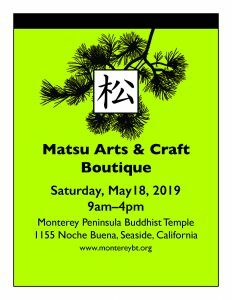 The Monterey Peninsula Buddhist Temple will host the Matsu Arts & Crafts Boutique on Saturday, May 18, 2019 from 9:00 AM to 4:00 PM. More information and list of vendors.